Last week, I presented at Public Sector Social Media, a conference directed to Government employees and consultants whose work touches on the social media-sphere. I gave a talk on Social Media Accessibility issues entitled, "15 + 4 Things You Can Do to Improve the Accessibility of Your Social Media". Today I am happy to share with you my presentation script, in case it might be helpful in making your own social media content more accessible. Interestingly, the person who spoke before me used the term "Accessibility" in her presentation as well; however, she meant reachable, as in "be accessible via social media". equal access to information and services, regardless of ability (physical or cognitive). In this case, I explored computer accessibility as it pertains specifically to social media platforms and their usage by governments in communicating and engaging with citizens. 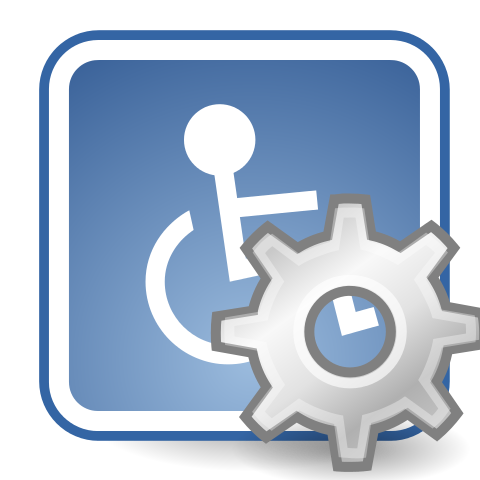 A list of tools and resources that can be consulted for additional information on Accessibility. I am releasing the presentation notes (basically my full script, minus some of the more visual examples) to anyone who might be interested. As with all my presentation notes and the content on this site, I've assigned the Accessibility In Social Media presentation notes a Creative Commons license (CC by 3.0 non-commercial, see below for details). Feel free to use, copy, share, modify, improve and generally enjoy all of it, with attribution, for personal use. Not for commercial use. The presentation Accessibility In Social Media was developed by Tanya S. (@spydergrrl) and is licensed under a Creative Commons Attribution-NonCommercial-ShareAlike 3.0 Unported License. Feel free to re-share, re-use, re-work with proper attribution, for non-commercial uses. This is a work in progress so please come back and let me know what you think. Come back and comment here, tweet me (@spydergrrl) or send me an email [spydergrrlOnTheWeb (at) gmail (dot) com].